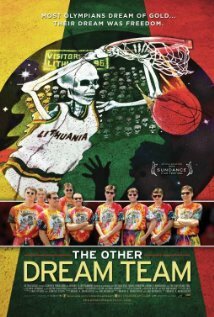 So exciting–I just read that “The Other Dream Team,” the 2012 Sundance Film Festival documentary about Lithuania’s 1992 Barcelona Olympics basketball team, will open in theatres Friday, Sept. 28. So far, I can’t see that it’s coming to a theatre near us, but if anyone out there can lobby for it, please do. This is very exciting stuff: the intertwined stories of Lithuania’s independence and Olympic hopes, financed by the basketball-loving Grateful Dead. Remember those tie-died jerseys in the medal ceremony–and all our basketball heroes: Marciulionis, Sabonis, Kurtinaitis? I’ve also ordered the DVD from Neflix, with no delivery date yet. I’d like to have a home showing when we can get it. Please advise if anyone sees it at a theatre in or around central Illinios.